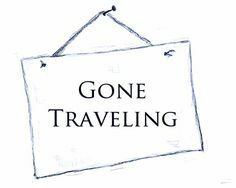 I try to update this blog 2-4 times a month, but I’m about to embark on a 51 day tour of 8 countries in Europe and I have to be honest, taking time out to write an unpaid blog is not on my itinerary for the trip. I will be testing out the speech to text option in Google Docs to see if I can use it to record my thoughts and impressions along the way, but I won’t be able to sit down and compile, edit, revise, and add photos to all of those until sometime in September. God that sounds far away. This is the largest single travel excursion I’ve ever undertaken and I am so psyched and so terrified. I stayed in Europe for 3 weeks in 2015, but I spend 2/3 of it in my friend’s apartment in Prague and there was basically zero planning. I spent 6 weeks living in Japan after a job ended before I left again, but I had an apartment and I wasn’t “vacationing” I was mainly trying to find another job before my visa ran out. This time, I’ve structured my 51 day trip with all the detail planning work I learned on my short trips to New Zealand, Malaysia and the Philippines combined. 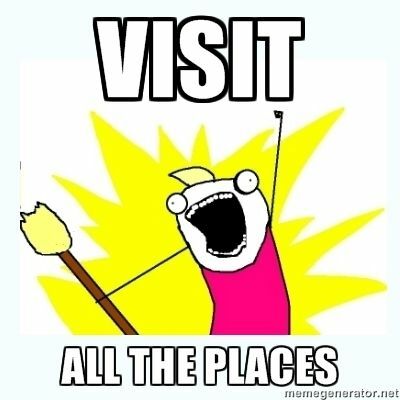 I’m going to 22 cities in 8 countries and I’m aiming to enjoy a wide variety of famous sites and hidden gems. Bonus, my job and apartment will be waiting for me when I get back! You may have to wait until the fall to read all about it here, but I will be posting daily photos on Instagram and semi-regular short updates on Facebook. I hope you’ll join me on one or both and follow along as I finally get to enjoy a summer in Europe. Catacombs, bike tours, museums both famous and less well known. All the French food I can eat. Boat tour in Ghent, Belgian Brewery tours, Castles, ancient underground ruins, more castles, some wall art, and a whole day dedicated to chocolate! Castles, caves, cruises, catacombs and one luxurious day at a famous natural hot springs spa in Aachen, Germany. Den Haag, Amsterdam & Utrecht. Beaches, installation art, Van Gogh, canals, red lights, antiques, and hidden cities below. Singing fountains, botanical gardens, street festivals, summer fairs, PRIDE week, night markets, shipwrecks, haunted history museums, and fairy-tale villages right out of Grimm. World’s oldest amusement parks, Hamlet’s castle, the Little Mermaid, more museums, more castles, and at least one anarchist commune. From Gothenburg to Stockholm and back around the beautiful lakes. It’s nature hikes, saunas, and Vikings all the way. Nordic Fjords, midnight sun, a wood fired hot tub under the stars, and of course more Vikings. August 21 : Back in the USSR? A long layover in Moscow gives me time to check out Red Square, the Kremlin and a special Kremlin-lite amusement village & traditional market. Aug 22: Home Again, Home Again. I arrive back in Korea and have to navigate from the airport in Seoul back to my home in Gyeongju … or maybe spend the night in Seoul, we’ll see how I want to sleep: immediately or in my own bed.